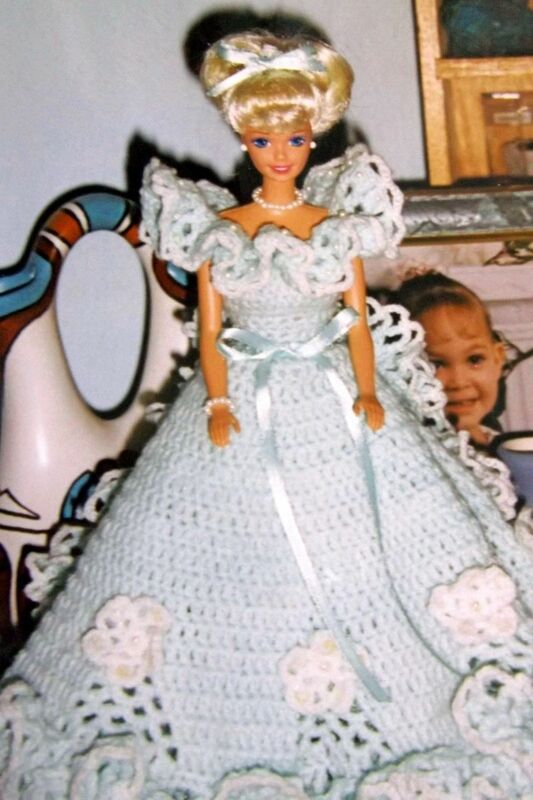 Barbie is a favorite of every little girl. 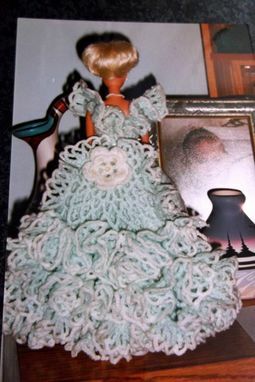 In mint Green, her gown is crocheted in baby soft yarn with ruffles, ribbons and silk flowers. Her train has layers of ruffles and is detachable. Doll and stand are included.